The controversial plans for Hinkley Point Nuclear Power Station to be built in Somerset got final approval from the British Government on the 15th September 2016. Why are there concerns about the construction of Hinkley Point Nuclear Power Station? Construction of the Hinkley Point Nuclear Power Station is estimated to reach completion in 2025 and will cost £18 billion if it stays on budget. French energy supplier EDF have invested £12 billion in the build and China have invested £6 billion on the agreement that their design is used for the project. 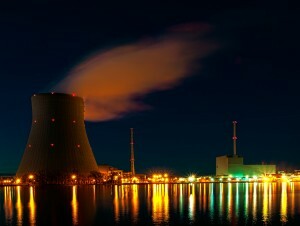 This has previously raised concerns that almost halted the erection of Hinkley Point Nuclear Power Station entirely, as sceptic’s highlighted concerns about the implications of power plants being built in the UK by foreign governments. However, the British Government has now agreed a deal that will give them the ability to block the sale of EDF’s controlling stake in Hinkley. The UK government will also receive a special share in all future nuclear projects, this will protect security by ensuring significant shares cannot be sold without the British Government’s consent. What are the environmental concerns surrounding Hinkley Point Nuclear Power Station? 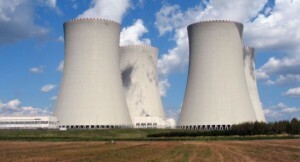 As ever, when a new nuclear power station is built, there are concerns regarding the environmental impact of the venture. The main concern is waste, as nuclear power stations emit very little air pollution. 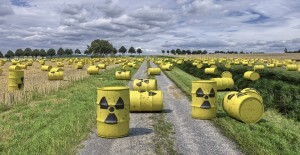 There is still no safe way to deal with nuclear waste disposal. The only solution that has been developed as of yet, if you can call it a solution, is to bury the waste deep underground. This does not eliminate the potential for water contamination from waste leakage, which in turn can have a detrimental effect on health and marine life. What are the benefits of Hinkley Point Nuclear Power Station? Construction of the plant will create approximately 25,000 employment opportunities and 15,000 long term jobs which will help to boost the local economy. These jobs will be in a variety of areas, from engineering to admin. £20m to help improve socio-economic wellbeing through dedicated community funds. Over £11m to support the provision of employment and skills for local people. Almost £16m to the improvement of roads and infrastructure in the surrounding area. £3m into our Inspire education programme for young people. Hinkley Point Nuclear Power Station will also produce 3,200,000,000 watts of electricity each year that will go towards powering homes and businesses across the UK. This is beneficial to the UK as a whole because energy is less expensive if it doesn’t have to be imported, so you could see a reduction in your energy bills as an after effect. What can I do to reduce my business electricity bills now? The best way to discover a better price for your business electricity bills is to compare the market through an impartial comparison service, like Exchange Utility. We will handle all of the paperwork and give you access to some of the best prices in the industry from a variety of UK suppliers. To get started, all you need is a recent electricity bill. Complete our online enquiry form, call 0800 9777 000 today to get started.